You may have heard of the New York Scaffold Law, and if you have, you’ve also probably heard much debate about its efficacy, and its unique presence in the New York construction industry. The White Plains accident attorneys at Worby Vecchio Edelman practice in the field of Labor Law and construction accidents, and can assist you if you have been involved in a construction related accident. Simply put, this law protects construction workers injured in an elevation-related accident, due to an owner or contractor’s failure to provide safety equipment. Examples of such accidents are those involving falls from any height, such as a roof, with or without ladder involvement. 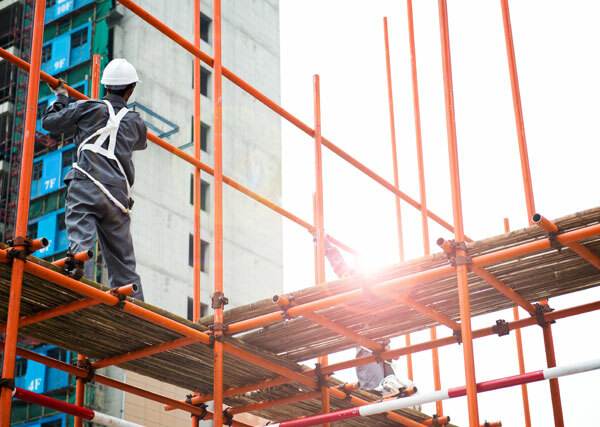 The Scaffold Law imposes strict liability in favor of construction workers, against a premises owner and contractor without regard to the worker’s own fault. That means that if a construction worker is injured as a proximate cause of an elevation-related accident, the owner and contractor are automatically responsible, even if the accident did not occur as a result of that party’s negligence. The law offers important protection to New York construction workers, because workers may not be provided with the proper equipment to safely do the job. Owners and contractors are required to provide such safety equipment to workers hired to work at dangerous elevations, who perform services far more likely to result in severe injury than a construction job at ground level. A major benefit of this law is that it places workers on a more even footing with owners and contractors, since workers are less likely to have the resources to provide themselves with safety equipment. It also places responsibility for unsafe ladders and scaffolding equipment where it should be – with building owners and contractors who hire such workers in the first place. The law specifically exempts owners of one and two family houses from its provisions. The law is a favorite target of the construction and commercial real estate industries, due to its absolute liability feature. There are frequent ads in various media outlets which harshly criticize the Scaffold Law, and which favor a repeal or at least a modification of the Law. What you won’t hear in those ads, however, is the manner in which New York Appellate Courts already limit the law’s application. As one example, under the “recalcitrant worker” defense, a worker’s failure to utilize provided safety equipment will bar recovery under this law. In addition, a finding that a worker’s own negligence was the sole proximate cause of an injury will also bar recovery. The Scaffold Law, also known as Labor Law §240(1), has been the subject of countless appellate cases, some of which determine that the law was not violated, even where a worker was injured from an elevated height. You are less likely to hear those who criticize the law discuss the cases in which the Court determines that the law is inapplicable. The point is that the Courts have controlled the application of the law in a sufficient enough manner, such that its repeal is unnecessary, and ultimately would cause great harm to construction workers. The New York State Trial Lawyers Association, which Worby Vecchio Edelman proudly supports, is tireless in its support of the Scaffold Law. It’s a worthwhile law, designed to protect workers who find themselves with unequal power as compared to owners and contractors. The Courts have done a good enough job of rooting out exceptions to the general rule. The White Plains accident attorneys at Worby Vecchio Edelman are experienced in Labor Law cases. Call us first if you or a loved one have been injured in a construction related accident, or in any other type of accident. We’ll answer all of your questions, explain the applicable legal standards involving your particular matter, and make sure that you understand the legal process. There’s never an obligation, and we work on contingency, so you only owe us a fee if we recover money on your case.